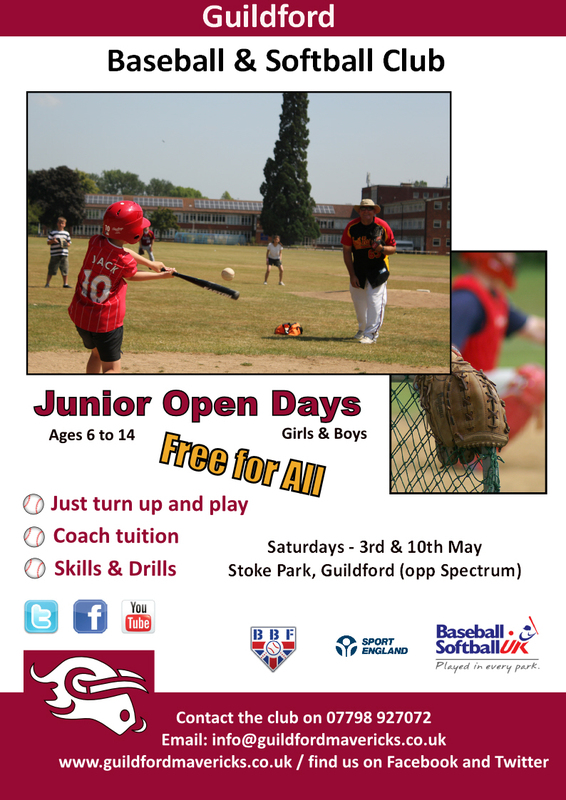 On Saturday 3rd May and Saturday 10th May, the Guildford Baseball and Softball Club will be holding Open Days at Stoke Park in Guildford. 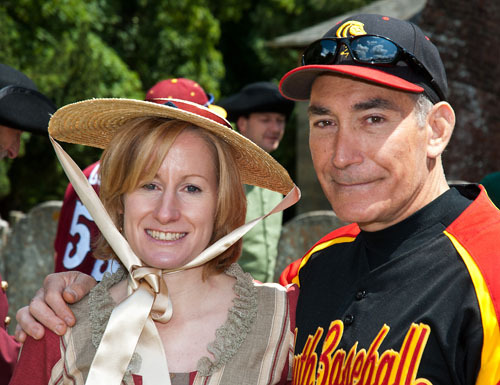 These events will be free of charge to any child under the age of 14, and is aimed at introducing the games of Baseball and Softball to both girls and boys. 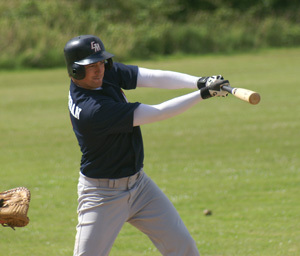 Located at the Burchatt’s Farm end of Stoke Park, opposite the Guildford Spectrum, the event will run from 10am to 12pm both days, and will consist of walk up baseball/softball games along with introductory sessions to the skills of the game, and specific drills aimed at teaching the basic skills to all who attend. 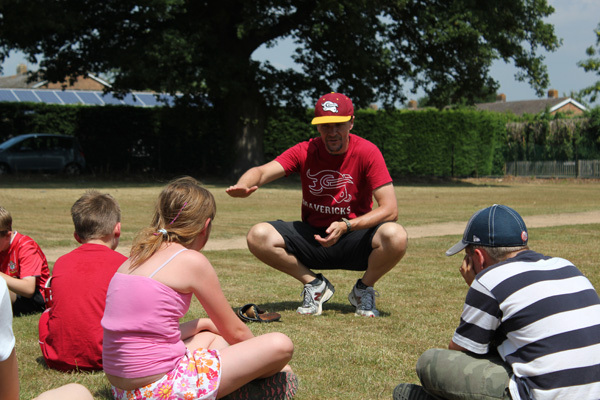 Coaches from the Guildford Mavericks will be there to help explain the rules of the game, and teach children some of the skills before giving them a chance to join in the fun of actually playing a game. All equipment will be provided by the club, so children only need to come along wearing clothing suitable for outdoor activity on grass. However if you already have a bat or a glove, then by all means bring it along. 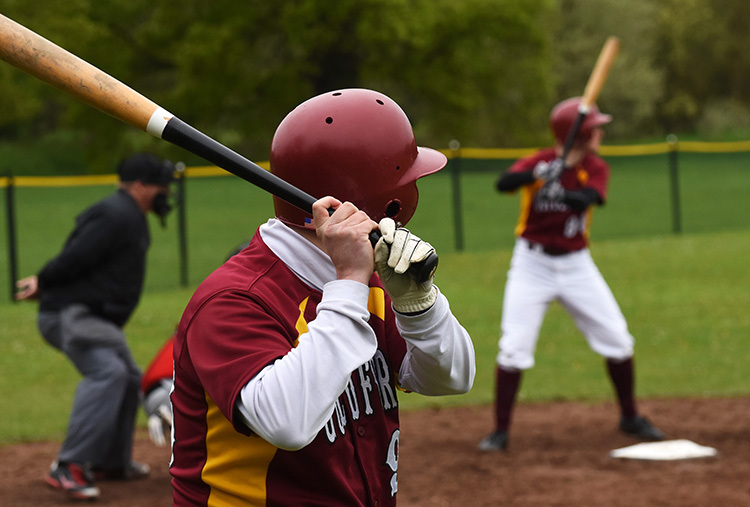 So if you would like a chance to hit a Grand Slam, throw a No Hitter, or simply learn how to master the basics of fielding with a baseball glove, swinging a bat, and sliding into base, then come along. You can attend for part or all of the session. Just look out for the club signs, and introduce yourself. We will take care of the rest. 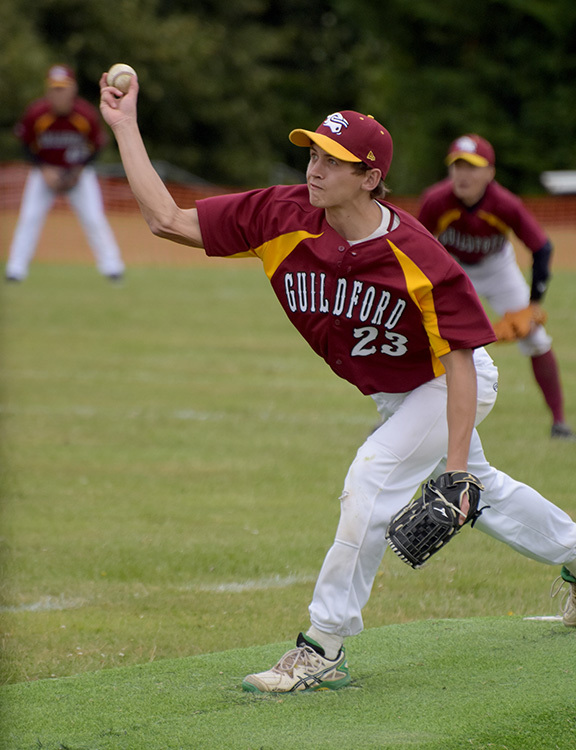 The Guildford Baseball & Softball Club, runs a junior section, known as the Guildford Mavericks Juniors. 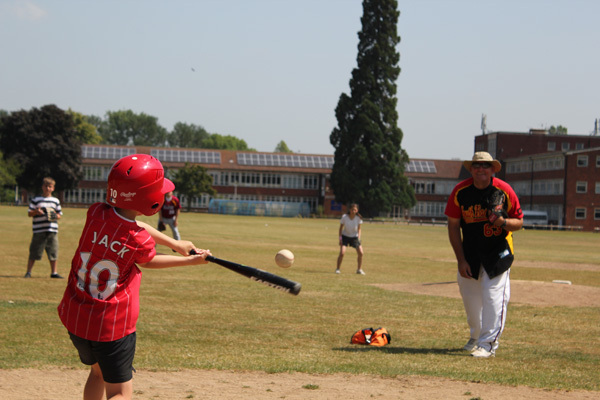 It attracts children from the age of 6 and up, and is there not only to provide an opportunity for children to learn and go onto progress in the game, but also to get more children outdoors and active during the summer. They will be learning something new, making new friends along the way, an most of all having fun. Sessions consist of either full or mini games, and are interspersed with drills to help teach specific skills. All coaches are NGB and DBS certified and hold the relevant Safeguarding and First Aid certification.